Hashtagging has become the most popular way to categorize information we post on social media. Attaching the number sign (#) to any word or phrase without any spaces is all it takes to turn it into a clickable hashtag. Make our posts discoverable to other users through search. Most of the big, popular social networking sites allow you to use hashtags in your posts, and even though the general hashtagging principle remains the same across all of them, they all differ slightly in terms of the results -- or "hashtag traffic" -- you can get. Browse through the following slides to see how you can make the most out of hashtagging on some of the web's most popular social networking sites -- Instagram, Facebook, Twitter and Tumblr. On Instagram, adding hashtags to your photos and videos can be one of the fastest ways to get likes -- and even new followers. Here are a few tips you can consider before loading up your caption area with too many of them. Add hashtags as a comment instead of including them in the caption. Captions always remain displayed below your post, and with too many ​hashtags added to it, it can look spammy and pull the viewer's focus away from the actual description. Instead, post your photo or video first and then add your hashtags as a comment afterward. This way, it becomes hidden if you receive enough additional comments from followers. You can also delete the comment later if you choose. Use popular hashtags to increase interaction. If you want a few instant likes on your Instagram posts, you can have a look at some of the most popular Instagram hashtags used and add them to your photos and videos. These are the ones that get searched most frequently by the most people, so you can easily make your posts discoverable and attract new interaction. Use the Tags for Likes app to get ideas. The Tags for Likes app tracks and collects the most popular hashtags being used on Instagram and organizes them into categories and organizes them into sets of 20 or so, which you can copy and paste into your posts. This is a great app to see what's currently trending or to get ideas for more hashtags to use. Use weekday hashtags, like #ThrowbackThursday. Instagram users love to play hashtag games, and some of these weekday hashtags are a great way to get started. Throwback Thursday is arguably the most popular one. Facebook is a bit of a newcomer to the world of hashtags, and even though people probably don't search for them as much here compared to other sites like Instagram and Twitter, you can still use them for fun. On Facebook, you can add a hashtag by adding the "#" to any word or phrase in posts and comments on other users' posts to turn them into a blue, clickable hashtag link. Set your post privacy to "Public" if you want everyone on Facebook to be able to see your hashtagged posts. Facebook has dedicated pages for hashtags, which can be found by going to Facebook.com/hashtag/WORD, where WORD is whatever hashtag word or phrase you're looking for. For example, #sanfrancisco can be found at Facebook.com/hashtag/sanfrancisco. If you want to show up on these types of pages, you need to make sure your posts are set to "Public" when you post them, as opposed to "Friends" or anything else. Don't expect to get a ton of exposure by using hashtags on Facebook. Hashtags still remain a strange and somewhat ignored feature by the masses on Facebook, and a 2013 study by EdgeRank Checker revealed that using them doesn't really do much to help get the word out about whatever you're posting. You can still experiment with them in your own posts and comments, but your friends will most likely be among the only users who will actually see them. Twitter is such a big, open platform made for having real-time conversations, and this is where hashtags really come to life. You can put them anywhere in your tweets, as long as they fit within the 280-character limit. Hashtags marked by a "#" will be clickable, revealing all the most recent tweets containing it. Use the Twitter Worldwide Trends section and the Discover tab to see what hashtags are currently popular. Since Twitter is all about what's going on right now, current trending topics are a great way to get involved in ​a conversation and get exposure. You can see how you can use additional trending topic directories to find even more popular hashtags to use. Follow a Twitter chat. Lots of conversations happen on Twitter, and there are tons of scheduled chats you can participate in, which you can follow with its corresponding hashtag. Check out this list of popular Twitter chats and these Twitter chat tools to get started. Using hashtags on Tumblr is a great way to get discovered by new users who are looking for more blogs to follow, and also a great way to get more likes and reblogs. People often search keywords and hashtags using Tumblr's internal search, so if you use hashtags properly, your Tumblr posts should show up in there. Use the hashtag section in the Tumblr post editor rather than inserting them directly in post content. Unlike Instagram, Twitter,​ and even Facebook, which all have you adding hashtags directly in your post content, Tumblr has a specific section for you to add hashtags. You should see it marked by the little tag icon at the bottom any time you are in the process of getting ready to publish a new post. Hashtags added in your post content -- like text posts or photo captions -- will not turn up as clickable links. You must use the specific tag section. You can tell that a post has hashtags added to it by viewing it on your Tumblr Dashboard and looking for the tags listed at the bottom of the post. 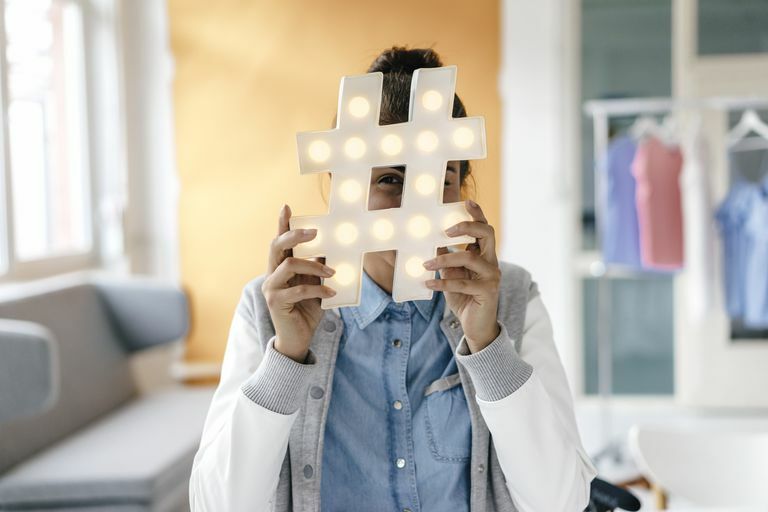 Use popular hashtags to increase your post exposure. You can view the Tumblr search page to see a brief list of currently trending search terms and tags, or you can use this list of some of the most widely used and searched hashtags on Tumblr to get more likes and reblogs on your posts.